Recently refurbished first floor apartment, situated on a quiet hillside between Dervaig & Salen, with splendid views across gardens and glen. Druimnacroish is a substantial stone building in three acres of gardens, on the flanks of Glen Bellart, near the village of Dervaig in the north west of the Isle of Mull. 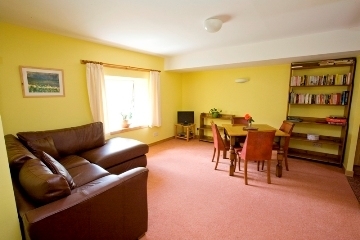 The property enjoys open views across the glen and down to the sea. 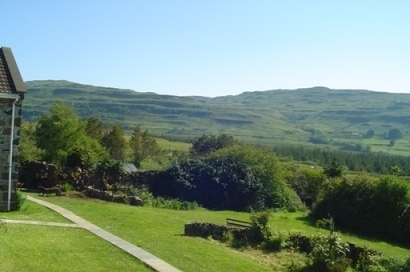 The setting is tranquil and restful, the location remote but within easy reach of Mull's many attractions, including walking, wildlife, beaches, historical and cultural interests. The apartment forms the upper floor of the north wing of the building and has its own separate entrance from the car park. The proprietors live on site and run a small guest house. Guests staying in the self-catering apartment are welcome to share the gardens, large conservatory and other facilities. 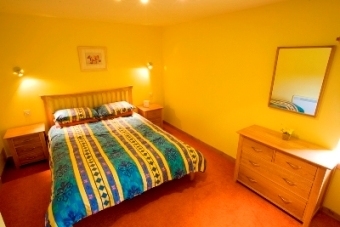 The apartment has a king-size double bedroom, bathroom and a further bedroom with bunk beds. 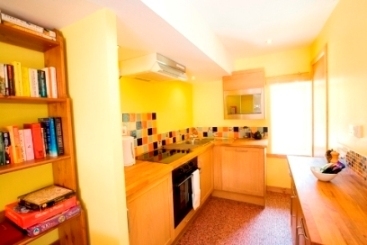 An open plan dining/living area has a well equipped fitted kitchen off. The tariff is fully inclusive of utilities, etc. and bedding and towels are provided.